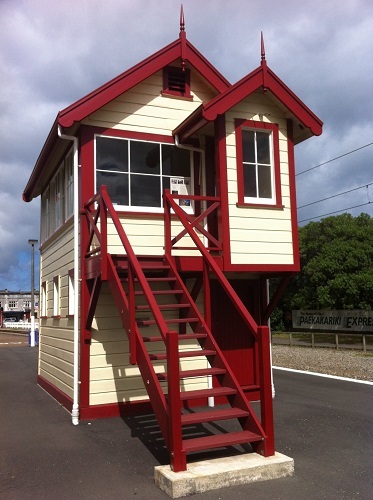 After sitting idle in Paekakariki Yard for many years and falling into a state of disrepair permission was granted in July 2006 for the Signal Box restoration to start, finance arranged from Lottery Board and KCDC assisted with the necessary Resource Consents. The Station Trust found a willing carpenter by the name of John Daubé who took on the task of restoration with much gusto, even though at times the necessary safety precautions working in a public place along with being an operating Railway Area were daunting to say the least. Early on when work was commencing, erecting a fence around the project with the carpenter taking a break from digging holes for the posts, a passing visitor noticing the hard work that was required offered to help. This person, Steve Acker, finished off digging the holes and a grateful carpenter gave the man some money as a koha for the work done. It wasn’t long before the carpenter realised that it would make sense to have someone fit and young assist him with this project. From here a great working and personal relationship developed, Steve and John completed the restoration and relocation of the box back to its original site in December 2007. This project has been a huge and very notable community effort in its entirety, involving many members of the immediate Paekakariki community, assisted by Local and Central Government agencies and National Rail Operators. 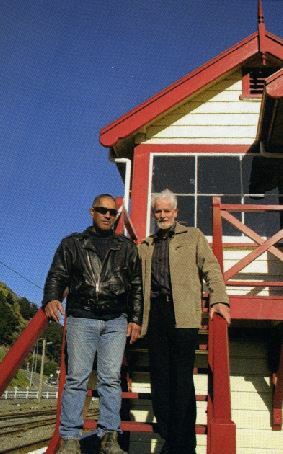 There have even been weatherboards recovered from the demolished, but much loved Paekakariki Hotel used in the Signal Box restoration. 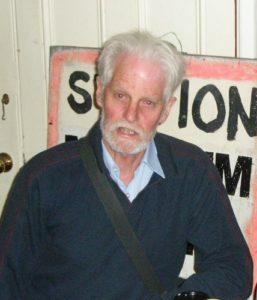 This poem was written by John in recognition of the work. Both men have since passed away.